We all know that when Winter rolls around we have to pay a little more attention to our skin. It’s easy to forget that you might need to change up your routine to combat the elements, you will need to add more products and watch the changes in your skin. Last week I was kindly invited down to the Victoria Quarter in Leeds to take part in their Winter Skincare event. We started our day at Space NK where we were treated to a talk on the newest make-up for the Winter months. 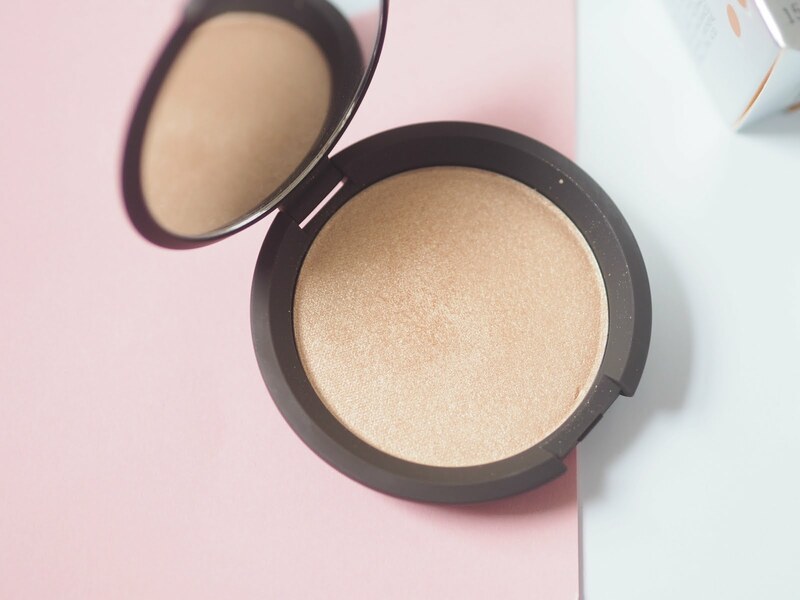 We also learnt about some favourites like the Becca x Jaclyn Hill Champagne Pop Shimmering Skin Perfector. I decided to get this for myself, I figured it’s the perfect product for creating that summer glow in the depths of winter. Next we popped along to Liz Earle and were treated to a talk about all of their most iconic products. 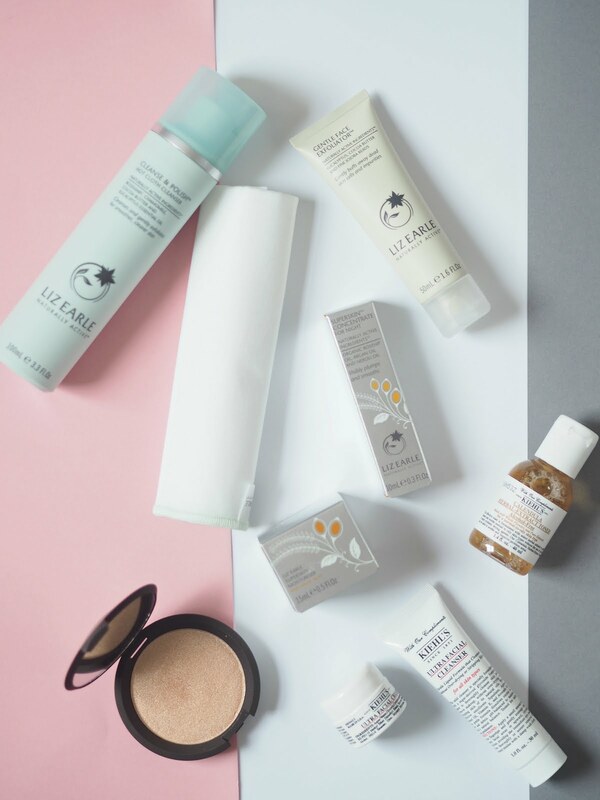 I was already a big Liz Earle fan, it really helped clear up my skin a few years ago. Their Hot Polish Cleanser is perfect for getting rid of all your make-up and gently exfoliating your skin at the same time. The rich creamy texture means it doesn’t leave your skin feeling tight and dry. Lastly we saw the guys at Kiehl’s – they told us all about their amazing serums including their Powerful Strength Line Reducing Concentrate. This little bottle is going to be on my Christmas list this year. Having never tried any of their products before I was happy to leave with a little pack which included their alcohol- free toner, you need to avoid anything with ‘stripping’ properties as this takes away the ‘good oils’ in your skin and leaves you with that uncomfortable feeling. Now this is something you should be doing all year round but it’s so easy to forget to keep hydrated in winter. We tend to make a beeline for warm caffeinated drinks which can add to the skins dryness. So make sure you are getting your daily intake by keeping a bottle in your bag at all times. Using something rich on your skin at night will ensure you wake-up with refreshed and hydrated skin for the day ahead. Liz Earle’s Superskin Concentrate for Night not only helps to plump and smooth your skin but the aromatic ingredients help to relax and send you to sleep. We are all guilty of being a little bit lazy sometimes when it comes to our skin. Make sure you moisturise twice a day to keep your skin happy in winter. 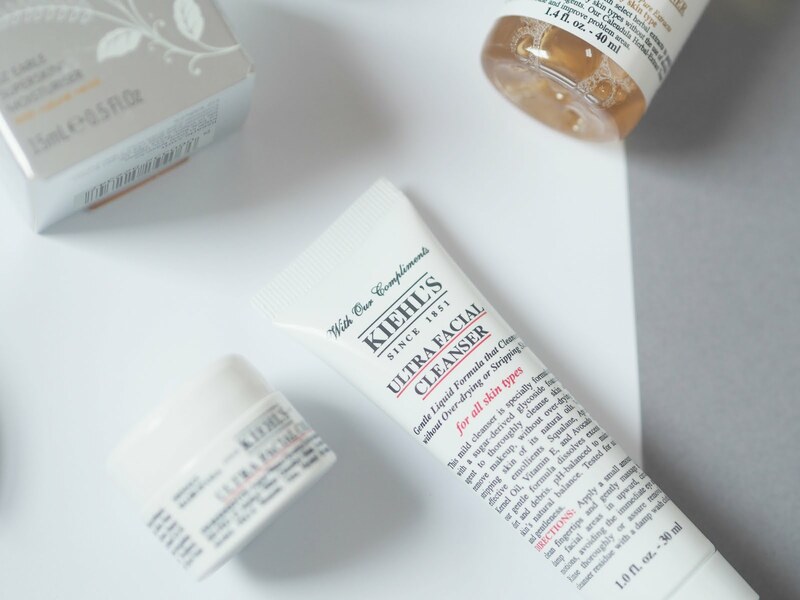 Kiehl’s Ultra Facial Cream is manages to stay light while still delivering all the moisture your skin needs through-out the day. "Getting Fit When You’re Not Good At It"
I really need to drink more water – my skin has been so dehydrated this winter! I adore Liz Earle cleanse and polish though so that's keeping my face glowing.